In GlobalLogic marketing literature we claim that GlobalLogic helps save lives. The good news is that there is truth in our advertising. I want to give a very personal example of how that’s true. My father, who is 85, wears a pacemaker. He needed an operation two years ago to replace the battery, and subsequently he developed a life-threatening infection. As part of the procedure to address the infection, his old pacemaker was removed and later replaced with a new pacemaker. The new one happens to be developed by one of GlobalLogic’s oldest and largest clients. Part of the pacemaker system is a small device the size and shape of a wireless phone that sits at my Dad’s bedside. The device communicates with the new pacemaker and wirelessly monitors my Dad’s vital signs, and uses the cellular network to transmit these to his caregivers as he sleeps, allowing them to remotely diagnose and rapidly respond to any issues. Development of a complex system like this connected pacemaker ecosystem is very much a team effort. Often, as here, our client plays the leading “quarterback” role, with GlobalLogic being a key “player” on the team. In my Dad’s case, GlobalLogic has been involved in the systems around his pacemaker for many years. We helped design and develop the elements of the system Dad will use directly, and the other parts that support him behind the scenes. For example, we wrote the software that pulls data from the implanted pacemaker, and the system that receives and processes the pacemaker data on the Cloud side. We wrote the systems that push software updates to the bedside device, and those that push firmware updates onto the pacemaker itself in the doctor’s office. We wrote the code that provides the parameters telling the pacemaker when to fire. We wrote many of the applications that clinicians use to monitor the heartbeat data and identify problems and risks. And we developed the interface that sends data to the hospital when needed. When my father showed me his new monitor, and I told him that my employer GlobalLogic had helped to develop it, he was impressed but pointed out that this is actually not the first time his life has been saved by technology where his family was involved. My father’s father, Denis P. Walsh, was a metallurgical engineer. 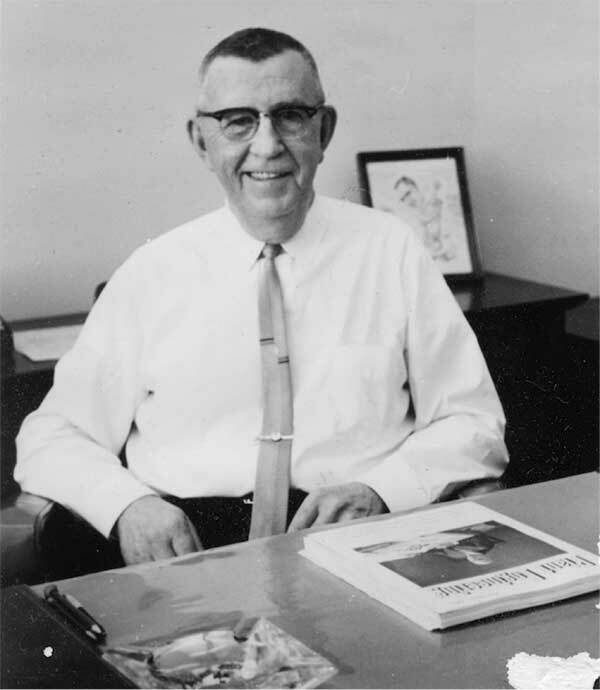 Grandpa Walsh worked for Magnaflux Corporation in Detroit, ultimately assuming a role that today we would probably call “CTO”. In the early 1940’s, my grandfather and his company aided in the development of the combat helmet used by the US Army in World War II. This helmet, dubbed the “M1”, was high-tech and revolutionary for its time. Among other features, it distributed the shock of impact over the entire helmet, reducing the risk of penetration by a projectile, and of concussion for the wearer. That helmet and its immediate descendants were used in subsequent conflicts, including the Korean War of the early 1950’s. 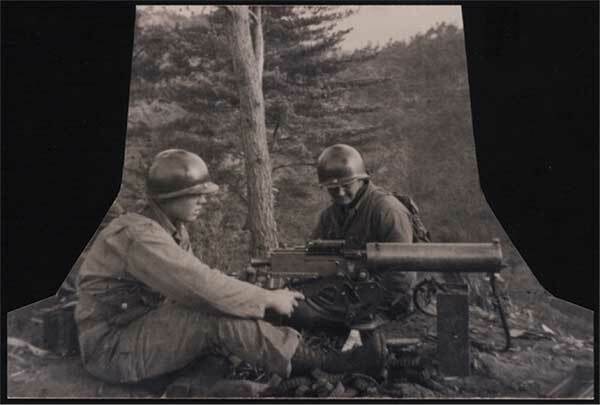 My father enlisted in the army and became a machine gunner during the Korean War. He credits the helmet that my Grandfather’s company helped design with saving his life while in combat. When my Dad’s position came under mortar attack from the Chinese in the fall of 1951, three of his platoon mates were killed, and his machine gun was destroyed. My father was thrown across the trench, but his helmet helped absorb the impact of the explosion. Though my Dad’s hearing was damaged, the helmet kept him from being killed. He returned to combat duties and subsequently went on to live a long and productive life. This included, not incidentally as far as I’m concerned, fathering five children, of whom I am one! As it sometimes does, the technology gene skipped a generation. While my father went on to a successful career in government and later law, he had essentially zero interest in actively joining the technology revolution happening all around him. His feeling was that “keyboards” were for admins—not the boss! Throughout his working life, he never had a computer in his office. I, on the other hand, got caught up in the excitement of the space program as well as the “golden age of science fiction” during my upbringing in the 60’s and 70’s. By the age of twelve I’d already decided I wanted to become a physicist—which I did before turning to computers in the 80’s. While I would not label my father as technophobic, he did not learn to use a computer until after he had retired and wanted to write his memoirs. My parent’s house is isolated, in the rural Midwest. They neither have nor want an internet connection. After a lot of nagging from their kids, my mother finally broke down and got a cell phone a few years ago, but it’s a feature phone, not a “smart phone”, and she has since lost it. You can’t reach them at home by email or text; you need to phone their landline or send a physical letter. So to put it mildly, as for many of their generation or older, ease-of-use is a necessity for any electronic device my parents are actually going to use. The heart monitoring device at my father’s bedside is astonishingly simple for him to operate. I asked my Dad who had set it up for him and, grinning proudly, he said he did it himself! He said that all he had to do was plug it into the electrical socket on the wall. It doesn’t even need a phone jack. Animations on a color screen in the front of the device lead Dad pictorially and step-by-step through any interaction with the device—as he showed me. A cellular modem is built-in and pre-configured; the device knows how to call home without anyone having to tell it, and without needing a phone line. This integrated cellular connectivity means that no WiFi or other network setup is required. You plug it in—and it just works. Though my Dad doesn’t know this, his device was the product of a focused “design-led” development process. This means that the requirements of the end user come first. Not just his or her need for certain functionality, but also knowing exactly who the end user will be, and how this technology fits into their life. Our client was wise enough to know that devices that intimidate or frustrate the end user are not likely to be used. It’s not a question of intelligence but of familiarity, comfort and intuitiveness. In this case, engaging the end user is not a matter of selling them something or conveying information; it’s literally a life-saver. Design-led development does not just mean considering the parts the users see, like the screen. In the case of this device, the integrated cellular modem is key to the “user experience”, and the ease of use of the whole system. Like my parents, most elderly people do not have WiFi internet access in their homes. Even if they do, they rarely know how to register a new device. Even installing a device that plugs into a landline requires a phone jack nearby. If there is no jack in the right place, near the bedside, it requires getting one installed. The need to navigate these and similar obstacles limit the adoption of new technology by the people who need it the most. By understanding their end users and letting their needs drive the technology, our client produced a device that actually gets used by real people. Right now, this one is successfully keeping watch over my father. How did I feel about seeing my Dad’s life depend on a piece of technology my company helped build? I guess the glib answer would be that of course I feel total confidence in anything built by GlobalLogic. The truth is that it’s more complex than that. It’s hard to see someone you love dependent on a piece of equipment, whatever it is. I’ll bet my Grandpa felt the same way sending his son off to war wearing a helmet he helped design. But I know the GlobalLogic team that built those key elements of his system. If I had to bet my life or that of a loved one that a piece of software had been written correctly, I would bet on these people.